Artikel über die Weida 2007 der Bne Akiwa Weltorganisation. The Bnei Akiva youth movement has called on the Israeli government to act to secure the release of Jonathan Pollard, following a close vote during the movement's 11 th world conference held in Jerusalem this week. "It was very close. In the end the motion was approved, after the wording was changed to be more sensitive," Bnei Akiva Spokesperson Zvika Klein told Ynetnews. Pollard has been sentenced to life in prison after being convicted of espionage charges, and passing classified US intelligence to Israel. Some of Bnei Akiva's North American members at the conference were hesitant about voting for the motion, despite their desire to see Pollard released. "I was afraid of the prospects of a youth group getting involved with this," said Danny Rosenblatt, of Cleveland, US. "I want Pollard to be released on humanitarian grounds, after being in prison for 21 years. I just don't want the youth group to get involved," said Rosenblatt, who voted against the statement. Yaakov Jackner, also an American delegate, shared similar sentiments, but voted in favor of the motion. "Some resolutions were thought to be too political," he told Ynetnews. During the conference, a number of Bnei Akiva members from the Diaspora shared their experiences of taking part in Israel programs organized by the youth movement. Alan Levenson, 18, of London, Britain, is currently studying at the Eretz Zvi Yeshiva in Jerusalem. "There is a very broad learning program, where we study Tanach, Halachic programs, and travel around the country," he told Ynetnews. Levenson emphasized that "part of the program involves spending Sabbaths with Israeli families, which I think is fantastic." 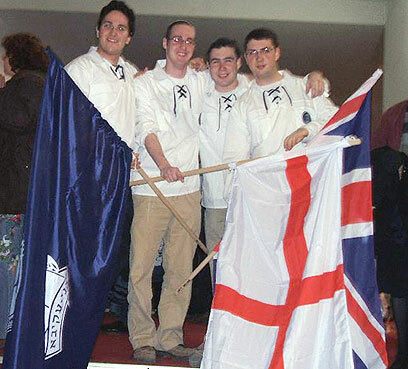 Levenson, who will take up a place at Cambridge University to study history next year, said he hopes to move to Israel as soon as possible. 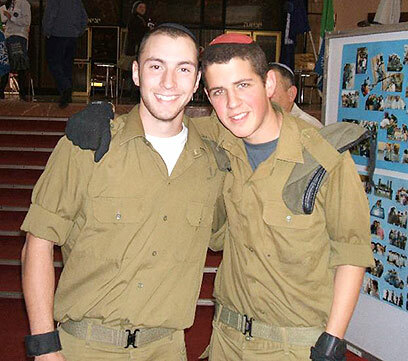 Rafi Saltman, 18, and Ollie Ogus, 19, both from Britain, are taking part in the IDF's Marva program, which is designed to allow youths from the Diaspora to taste Israeli military life. "It definitely makes you understand what (Israeli) people our age go through," said Ogus. Seite in 1.39116 Sekunden generiert.